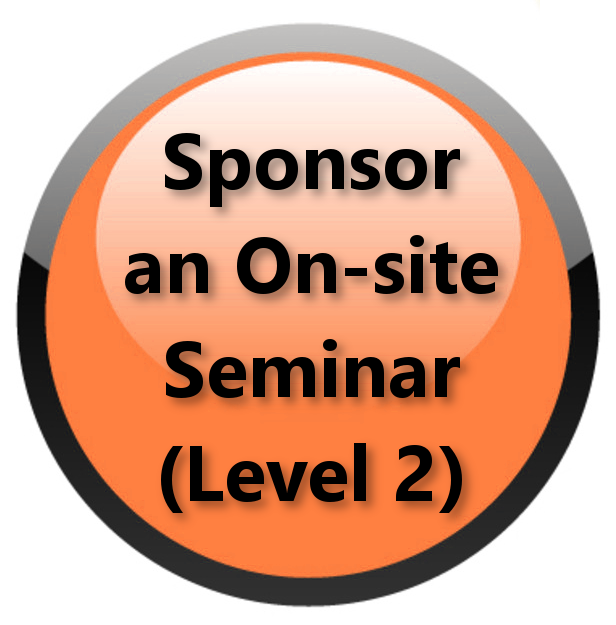 Buying the "Sponsor an On-site Seminar" product, you can become the sponsor of a Seminar on a topic related to your product, profession and society. An On-Site Seminar (3h00) lasts 3h00 and can be organized by the BFE at a center, hospital, university, or your desired emplacement. We can organize the seminar as an independent event, or include it inside another event. The BFE will send a BFE instructor that is an expert on the topic selected. The participants will be shown the product you want to sponsor and your role as a sponsor for the event will be explained. The seminar instructor has to give his approval on the product that will be shown during his presentation, if for any reason he does not agree, unfortunately, that specific product cannot be shared with the audience.